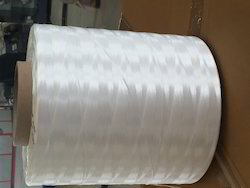 Leading Exporter of pp stitching yarn (fibrillated yarn) from Mumbai. To meet excellent quality standards, we are offering a quality approved array of Stitching Yarn. The Stitching Yarn is widely demanded amongst the clients for its wide use. These products are available in committed time frame. Moreover, offered products are known for their precise use. Specification: 700 Denier to 3500 denier.